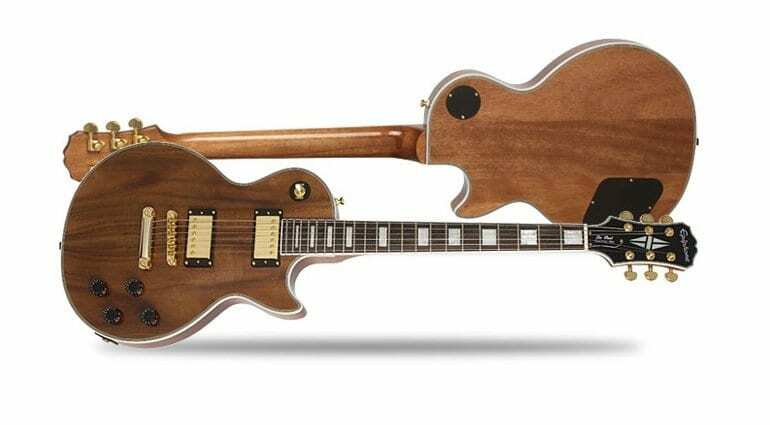 Epiphone have just announced a Les Paul Custom and a Wildkat in limited edition Koa topped versions. The Epiphone range has had some amazing guitar released this year already, with both the Brent Hinds and Joe Bonamassa models getting players very excited this year. 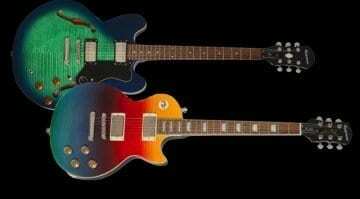 These two new limited guitars look set to follow in these footsteps and be something very cool indeed. 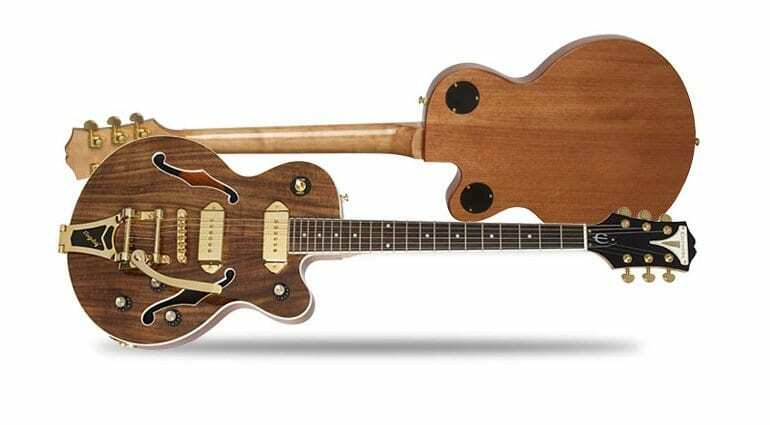 Koa is a lovely wood and look beautiful in the promo shots released today by Epiphone. The guitars have ProBuckers on the Les Paul Custom and P-90 Dogear Classics on the Wildkat model, which also has a Bigsby B70 vibrato. Both guitars have gold hardware which to my eye really sets off that gorgeous brown Koa top. We are still awaiting full specifications and prices form Epiphone, but we do know that they will be made in limited quantities and so could sell out pretty fast. 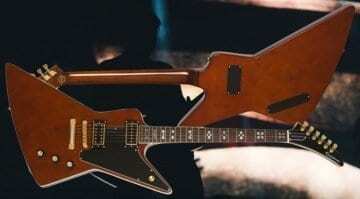 Having just recieved one of the Brent Hinds signature Flying V guitars myself this week ( I had to have one!) 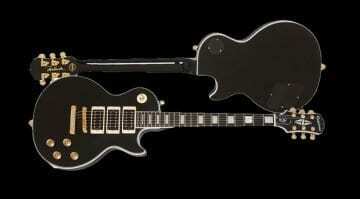 I can vouch for Epiphone’s top notch guitar finishes and hardware. I was so impressed with my new Epiphone that I am still in shock over how well made it is. Hopefully these new Koa versions of these two great guitars will be as well made as my new guitar. Hardware includes Grover Rotomatic tuners, LockTone Tune-o-matic and as mentioned earlier either ProBuckers or P-90 Dogear Classics pickups. 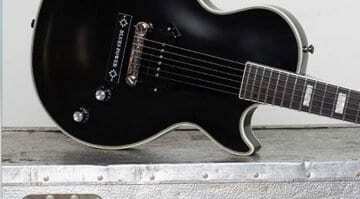 The hardware on both models is high quality, so should last well and make these guitars professional grade instruments. We are hoping they come in at around the £500-600 mark in the UK, I suspect they may be slightly higher price than regular models as those lovely Koa tops will possibly push the price up slightly. The guitars coming out of Epiphone are really impressing me this year and I hope this is something that carries on throughout 2016 and into the future. I will of course update as soon as we get more information. For now head over to the Epiphone website for more details. It would be great if I could ACTUALLY BUY ONE!! !